Colors are beautiful, it looks well made. Playful patterns with colorful ornamental medallions and florals comprise the Suzani Collection of hand-hooked wool rugs. Expert construction from premium wool ensures a beautifully crafted one-of-a-kind piece that works well in contemporary, bohemian, and transitional styles of home décor. 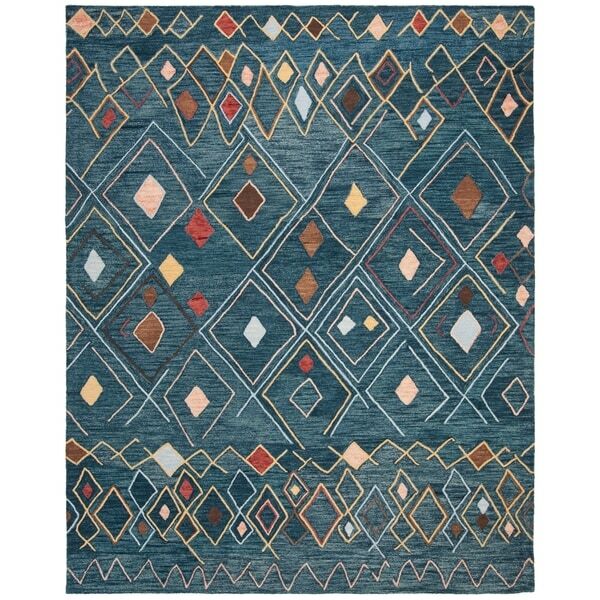 High quality and beautiful color, true to the picture, this rug is a good transitional design that will fit just about any setting. Love this rug! The colors are vibrant and bold. The looping/technique of the rug is great for our sun room which gets a lot of dirt and traffic. I LOVE THIS RUG!!!!!! It's so unique and nicely made and everyone came to my house complimented on it as it is lying in my living room - absolutely high quality and true to the color! Highly recommnade it!